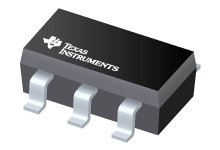 The TPS23753A is intended for isolated applications and does not incorporate an internal voltage-regulation error amplifier. Due to its integration and features it may be advantageous to use the TPS23753A in non-isolated applications. This application report shows additional circuits necessary to implement a low-side switch buck converter using the TPS23753A.